The Pocket team took to the drawing board for the hackathon at ETH Buenos Aires with the intention of building something fun and interactive to demonstrate the ease and quickness in which developers can build an iOS app using their iOS SDK and Relay Node infrastructure. What better way to show everyone how our new tools work, than to build a DApp ourselves? Protip: Bring your designer to hackathons. Valeria, our designer almost had a heart attack when she saw the font we used. Though not the prettiest app in the world, the team got a lot of great feedback from everyone they pitched the product to at the hackathon. They felt that it really showed the potential of mobile, non-fungible tokens and blockchain development. Bleary eyed but excited, they flew back home with the focus to continue working on the product and release a polished version of it. Breakthrough technologies face friction from many angles. User experience for DApps is difficult to crack due to technological limitations. Most developer tools are too complicated unless you have a deep knowledge of crypto and can be hit or miss with documentation. The Pocket Network tools have matured to a point of readiness where infrastructural functionality is demonstrable. The Pocket iOS Ethereum Plugin abstracts a significant amount of complexity for developers. 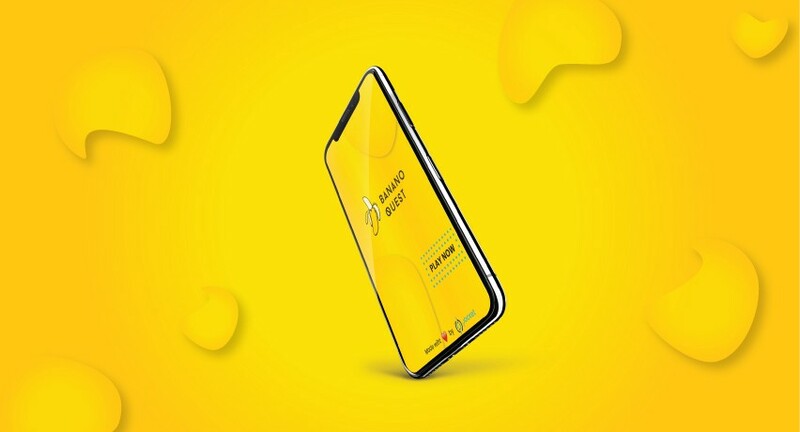 If a strong proof of concept serves as a example for development, design and user experience, then consider Banano Quest a launching point for aspiring mobile app developers who are unfamiliar with the web3 and blockchain stack of technologies. Banano Quest is is an augmented reality game that’s a mix between Pokemon GO, and geocaching. Users will be able to search for hidden bananas that will appear at designated GPS coordinates, find the bananas using hints provided on each quest, and claim Banano tokens (non-fungible ERC721) token prizes for doing so! Non-fungible tokens are a great way to encourage user participation and introduce new game mechanics, by rewarding players with tokens that can be transferred outside of the game and possess actual market value. The game will be deployed on TestFlight and on Ethereum with our own customizable Tavern smart contracts, and will show users how easy it is to hook in to the Ethereum blockchain using Pocket’s iOS SDK! Heading into the magical world of augmented reality, and blockchain technology is a blast, as long as you’re prepared for the journey. Here are some open-source tools we’ve put the time, and effort into creating for your adventures! Pocket iOS SDK allows developers to connect their iOS projects directly into Ethereum using Pocket! This is a big step forward towards building a strong DApp developer community for Pocket Network. The code is right here on our github’s iOS SDK page. “Tavern” smart contracts are a set of Solidity smart contracts that the Pocket team has created to support Banano Quest, that will allow developers to create their own questing platforms. To create a quest you need to submit a merkle tree of valid answers for your quests. In our case, valid answers are GPS coordinates from a mobile device, but in practice they can be anything (words, game coordinates, etc). To complete a quest you need to create a merkle proof on the client and submit it to the Tavern contract, and the contract will validate the quest and reward you an ERC721, ERC20 or ETH. This is a great opportunity to attract users, by offering participation incentives. You can check these customizable smart contracts out on our github’s tavern page. Pocket Relay Node is updated. This is the first version of the RESTful API that any person will be able to spin up with these. We’re running the first one for the Rinkeby testnet at http://red.pokt.network.The mainnet Ethereum node will be up at http://blue.pokt.network. This client is for Pocket Nodes, which will execute relays within the Pocket Network, maintaining the development infrastructure for POKT token rewards. For more information on node relays visit our github’s node page. 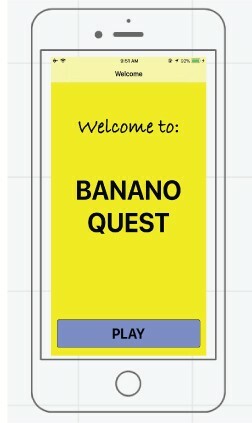 BANANO Quest iOS app is fully open source too. We hope this serves as the ultimate example application for iOS developers who are aspiring blockchain developers. Feel free to remix into your own questing adventure. Check out the application on our Github. Beyond being a fun way to demonstrate how simple leveraging the blockchain into mobile applications can be, Banano Quest represents an abundant future for interactivity between DApp developers, and users through token rewarded participation. This is just the first iteration of the set of developer tools the Pocket team is building. We plan on building out the Android SDK and Ethereum plugin in September. Pocket is blockchain agnostic, meaning the suite of SDK’s and Relay Node software are managed by a system of plugins. To support infrastructure for other blockchains, all it takes is adding the plugin for the SDK and Relay Node, and Pocket can support it as well. This is an open invitation to build, and bring your ideas to life, something that Pocket Network’s prospective nodes, and toolkits will serve to sustain. Sign up for BANANO Quest at http://bananoquest.com and follow on social media.